13 Reasons Why Tea Is Awesome! Put down those saucer cups and get chugging, tea is officially awesome for our health. Before loading up on Red Zinger, make sure that “tea” is actually tea. Real tea is derived from a particular plant (Camellia sinensis) and includes only four varieties: green, black, white, and oolong. Anything else (like herbal “tea”) is an infusion of a different plant and isn’t technically tea. But what real tea lacks in variety, it makes up for with some serious health benefits. Researchers attribute tea’s health properties to polyphenols (a type of antioxidants) and phytochemicals. Though most studies have focused on the better-known green and black teas, white and oolong also bring benefits to the table. Read on to find out why coffee’s little cousin rocks our health. 1. Tea can boost exercise endurance. Scientists found the catechins (antioxidants) in green tea extract increase the body’s ability to burn fat as fuel, which accounts for improved muscle endurance . 2. Drinking tea might reduce the risk of heart attack. Tea might also help protect against cardiovascular and degenerative diseases . 3. The antioxidants in tea might help protect against a boatload of cancers, including breast, colon , colorectal , skin, lung , esophagus, stomach, small intestine, pancreas, liver , ovarian , prostate , and oral  cancers . But don’t rely solely on tea to keep a healthy body: Tea might not be a miracle cure, after all  . While more studies than not suggest that tea has cancer-fighting benefits, current research on cancer is mixed. 4. Tea helps fight free radicals. Tea is high in Oxygen Radical Absorbance Capacity (“ORAC” to its friends), which is a fancy way of saying that it helps destroy free radicals (which can damage DNA) in the body. While bodies are designed to fight free radicals on their own, they’re not 100 percent effective—and since damage from these radical oxygen ninjas has been linked to cancer, heart disease, and neurological degeneration, we’ll take all the help we can get. 5. Tea is hydrating to the body (even despite the caffeine!) . 6. 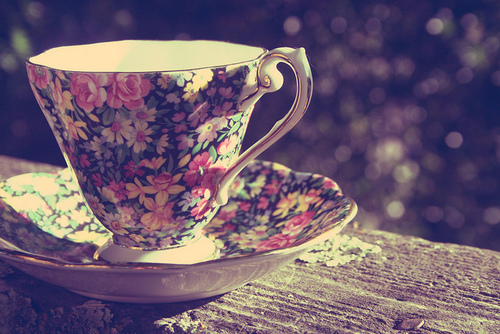 Drinking tea can lower the risk of Parkinson’s disease. When considered with other factors like smoking, physical activity, age, and body mass index, regular tea drinking was associated with a lowered risk of Parkinson’s disease in both men and women . 7. Tea might provide protection from ultraviolet rays. We know it’s important to limit exposure to UV rays, and we all know what it’s like to feel the burn. The good news is that green tea may act as a back-up sunscreen . 8. Tea could keep waist circumference in check. In one study, participants who regularly consumed hot tea had lower waist circumference and lower BMI than non-consuming participants . Scientists speculate that regular tea drinking lowers the risk of metabolic syndrome (which increases the risk of diabetes, artery disease, and stroke), although it’s important to remember that correlation does not equal causation. 9. Regular tea drinking might also counteract some of the negative effects of smoking  and might even lessen the risk of lung cancer (good news, obviously, but not a justification for cigs). 10. Tea could be beneficial to people with Type II diabetes. Studies suggest that compounds in green tea could help diabetics better process sugars . 11. Tea can help the body recover from radiation. One study found that tea helped protect against cellular degeneration upon exposure to radiation, while another found that tea can help skin bounce back post-exposure . 12. Green tea has been found to improve bone mineral density and strength . 13. Tea might be an effective agent in the prevention and treatment of neurological diseases, especially degenerative diseases (think Alzheimer’s). While many factors influence brain health, polyphenols in green tea may help maintain the parts of the brain that regulate learning and memory .